Ellsworth Eugene Hermann, Cokato, MN, March 15, 1933 – January 14, 2019. Ellsworth E. Hermann of Cokato died Monday January 14, 2019, at the age of 85, at the Buffalo Hospital. Funeral Services will be held at 11:00 am on Thursday January 17, 2019 at the Evangelical Lutheran Church in Cokato. Visitation will be held at the Church on Thursday beginning at 9:30 prior to the service. Interment will be at the Evangelical Lutheran Cemetery following the Funeral Service. Ellsworth, son of Leonard and Leona Hermann of Winsted, MN, was born on March 15, 1933, at the Watertown Hospital, Watertown, MN. Ellsworth grew up in Winsted and graduated from Howard Lake High School in 1951. After high school, Ellsworth attended Gustavus Adolphus College in St. Peter, MN, where he was a member of the football team. After 2 years of college, Ellsworth went to work for his father at the Pure Milk Products Creamery, in Winsted, MN. He met and fell in love with LaVerne Adelle Birkholz and the two were married at the Evangelical Lutheran Church in Cokato on June 25, 1955. The couple had their first home in Lester Prairie, MN. Then they moved to Cokato. Ellsworth and LaVerne also made Florida their home for 2 years while owning a business in the Clearwater/Tampa area. The family grew and moved back to Minnesota to settle in Cokato. Ellsworth and LaVerne raised their family in Cokato and all five children graduated from Dassel-Cokato High School. 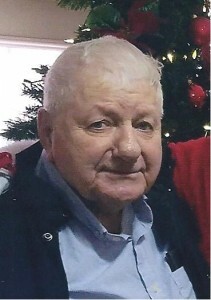 Ellsworth was partner in the Chevrolet Dealership and later was employed at C & H Ag services for many years, along with other jobs and business ventures. Ellsworth was an active member of Cokato Lutheran Church. Ellsworth and LaVerne enjoyed traveling and spending time with family and friends at their cabin on Lake Sylvia. He is survived by his wife LaVerne and his five children: Kathryn Johnson, Cokato; Teri Madsen (Dave), Maple Grove; Phil (Sherie), Maple Grove; Nancy, Cokato; Tim, Key West, FL. Grandchildren: Preston (Rachel) Sternson, Moorhead, MN; Austin Hermann, Houston TX; Taylor Madsen, Los Angeles, CA; Jessie (Peter) Schuett, New Hope, MN; Cole Hermann, Maple Grove, MN. Ellsworth was preceded in death by his parents, Len and Leona; brother, Gordon; and sister Mary Rathcamp.